Himalayas Mountain range is known for having the highest peaks in the world. But do you know, there are some of the best pilgrimage destinations in Himalayas which is another feature of the mighty mountain range that attracts tourists from faraway lands. For a religious devotee, Himalayas have a special place in his/her heart. Himalayas have earned the reputation as the central spiritual home for Indian population, especially Hindus. According to legends, it is believed that Lord Shiva used to reside in the Himalayas. Many heroic tales, myths, legends and fables in Hindu Mythology have given a special reverence to Himalayas in the eyes of pilgrims. Every day, thousands of tourists travel to Himalayas and travel thousands of miles, just to worship their gods and make their prayers. Some even to cleanse their souls from lifetime sins. Kailash Mansarovar Yatra is a religious pilgrimage to Mount Kailash and Mansarovar Lake which is visited by thousands of tourists every year. As per the religious beliefs of Hindu pilgrims, Mt. 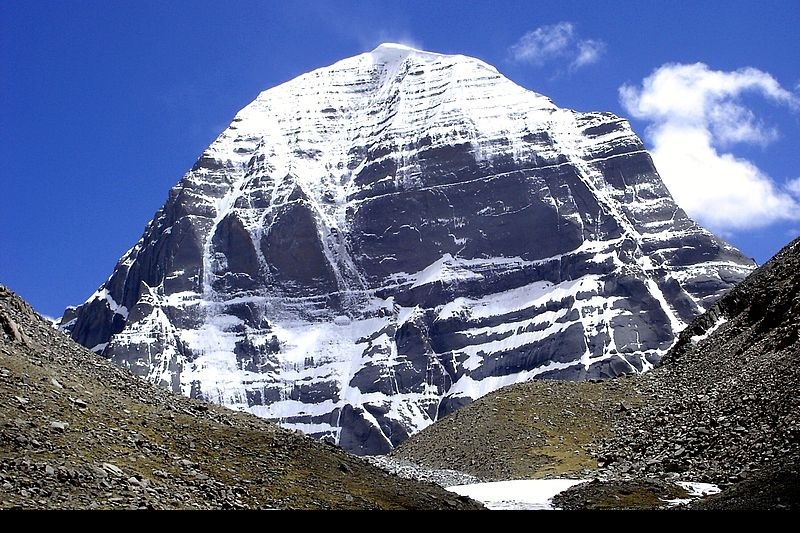 Kailash is the Earth’s of Mt. Meru, which is believed to be the spiritual center of Universe, namely The Heaven or Swarg. Religious travelers believe that those who are able to reach here absolve themselves from their sins. Similar belief is also regarding the sacred Mansarovar Lake which is believed to redeem one from his/her 100 years of sins. Circumambulation around the Lake is needed to be done for completing the ritual. It is one of the most adrenaline pumping and adventurous treks in Himalayas as well. The ruggedly landscapes and the extreme cold weather almost make this trek impossible to complete. Only supreme faith and love for adventure can give one the will to complete the trek. Trek to the religiously significant Amarnath Caves, is another worthy pilgrimage walks on Himalayas. 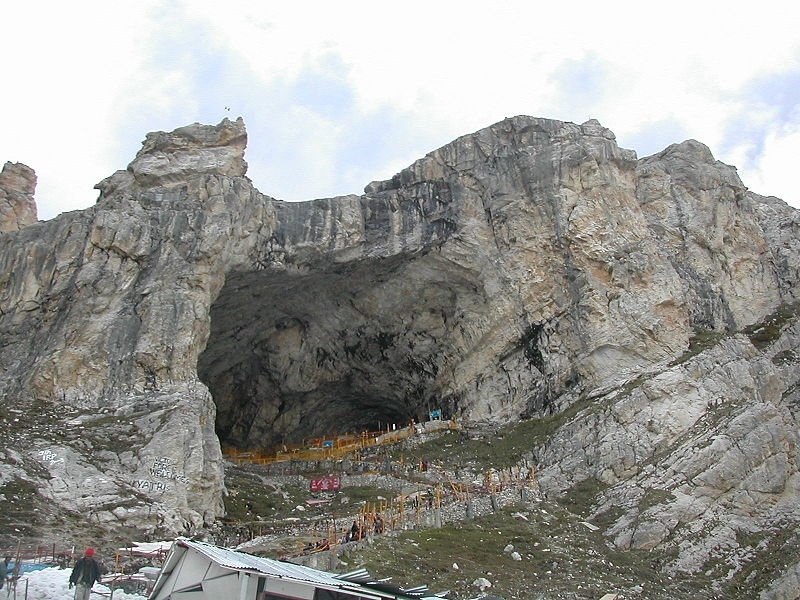 Amarnath Caves is among the holiest of places for Hindu worshippers. According to the believers, Lord Shiva’s mystic abode is Amarnath Cave which existed since 5000 years ago. The traces of this cave can be found in various numerous religious manuscripts including Kalhan, Nilmat Puran and Bhirgu Sanhita. Tourists gather here from faraway to pay their respects and to be blessed by Lord Shiva. There are also some very attractive historically significant locations nearby the Amarnath Cave which you must visit during Amarnath Yatra for memorable times. 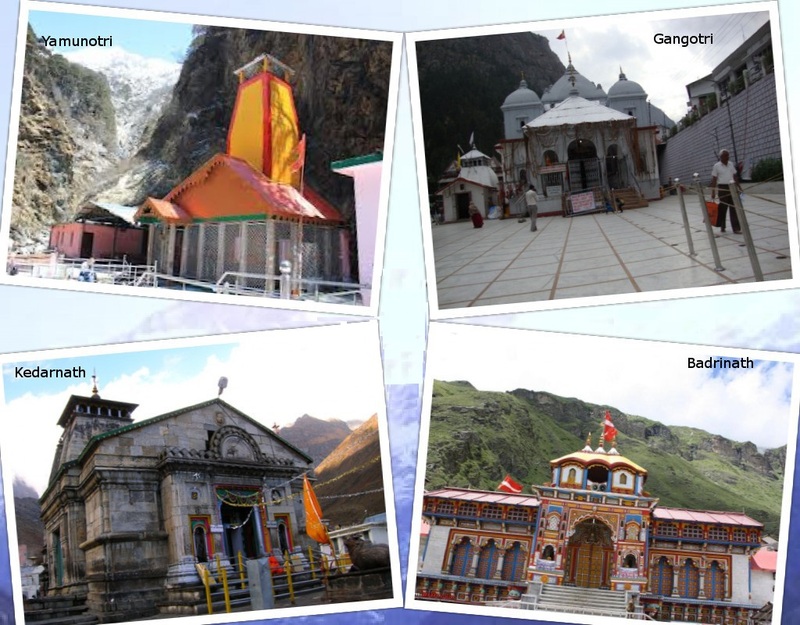 Chardham Yatra is the most important religious treks on Himalayas for Hindus. Every Hindu is required to complete the religious journey at least once in his/her lifetime. During this trek, one moves from East to West to traverse Yamunotri, Gangotri, Kedarnath and Badrinath to achieve salvation and get redemption from sins by taking a dip in four holy rivers namely Yamuna, Ganga, Mandakini and Alaknanda. Apart from the religious features, one can also enjoy the tour for its surrounding bounties of nature. All the Dhams give amazing views of Majestic Himalayas and picturesque valleys. 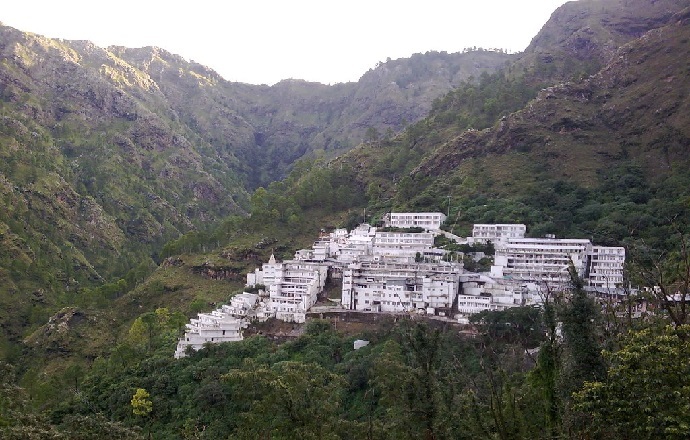 Vaishno Devi Yatra is amongst the most famous religious travel in Jammu & Kashmir. The trek is completed to reach Vaishno Devi Temple, which is considered to be home to Indian Goddess Mata Vaishno Devi. Thousands of tourists climb 5.300 feet to pay their reverence to Mata Vaishno Devi shrine in the temple which is located inside a cave at Trikuta Bhagwati hills. The devotees have to walk up to the temple. After reaching the temple, the pilgrim has to cross a narrow tunnel filled with cold water which is called as Charan Ganga. Tourists will also find images of three other goddesses in the cave- Mahalakshmi, Mahasaraswati and Mahakali. 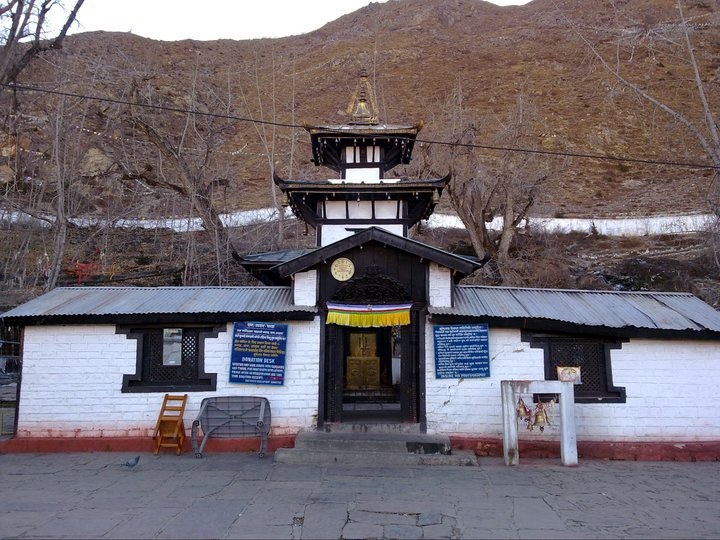 Muktinath is one of the most revered pilgrimage sites in Nepal. Thousands of Hindu and Buddhist pilgrims come here to attain salvation. According to Hindus population, the temple is one of the incarnations of Lord Vishnu. For Buddhists, the religious site is the home of Dakinis, goddesses called as Sky Dancer. There are 108 water taps in the temple that pour water in the holy ponds which are marked for washing and purifying one of his/her sins. Sputa, which is near the temple is known for the three glowing lights inside the sweet smelling water. Tourists also enjoy the surrounding locations of Himalayan range during this religious journey. The best way to reach Muktinath is by availing a flight from Pokhara to Jomsom.